XML generation is something we use quite extensively in ADF products - be it for PDF generation, or for printing labels on a Zebra printer or for sending data to an external system. And ADF BC does have an out-of-the-box support for generating XML documents straight out of its view objects, via its writeXML API. However, there are times when we need to stretch the XML documents - maybe create a custom XML, or import a custom node inside a ADF BC generated XML. This article intends to provide a working solution for these extra bits, along with a few tweaks for the standard process. This article will cover 3 use-cases: 1. Generate a standard XML from ADF BC, with node names of our choice. 2. Generate a custom XML from an XSD schema. 3. Combine the above two XMLs into a composite XML document. 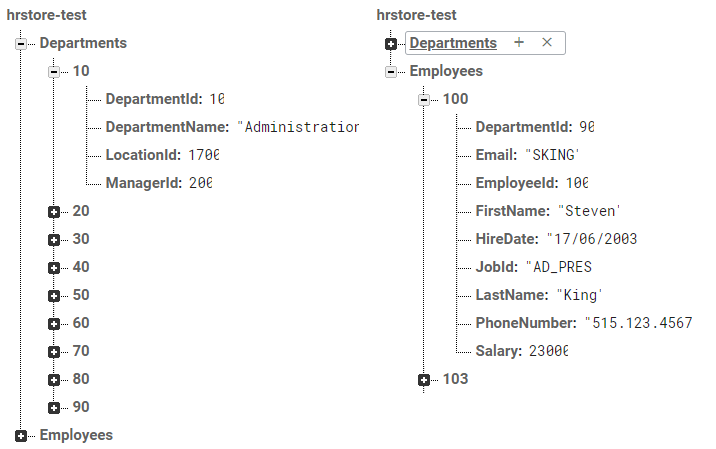 The sample application uses Departments and Employees tables from HR schema. To keep the size of the XMLs small, the VOs have been tuned to return only 5 records. This would be the third, final and the shortest article on the topic of integrating ADF Faces with Google's NoSQL Firebase database. In my previous two articles - Oracle ADF with Google Firebase and Oracle ADF with Google Firebase (Part II - Secure CRUD) - I have spoken about setting up Firebase database reference and performing secure CRUD operations. I have used Firebase Admin setup for Java for all of my activities. 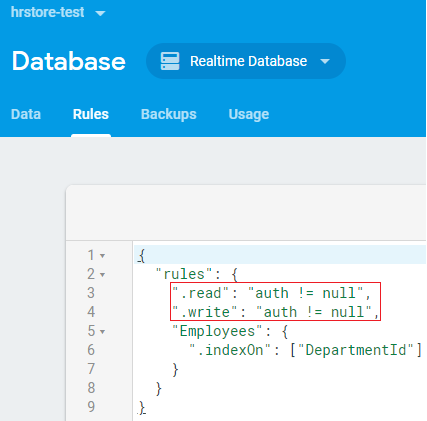 In my previous blog - Oracle ADF with Google Firebase - I wrote about integrating ADF Faces with a NoSQL database like Google Firebase. Till now I only discussed about fetching data from an insecure connection. But in a real world scenario, we would want the REST APIs to be secured so that only an authenticated user should be able to access the database. This article will extend the previous application further by securing the REST APIs with a web token, and will ensure that a Bearer token is required in order to access the data. This article will also showcase generic crud operations. This article talks about an interesting integration of Oracle ADF with Google's Firebase database. For those of you who are not aware of this, Firebase is a NoSQL cloud database service, provided free of cost (well, it's free for most of the way) by Google. We also had our eye on MongoDB cloud , but Firebase won the race for one simple reason - it provides out-of-the-box REST API connectors for it's entire data structure, and wrappers for query purposes. You do not need to write or manage a single line of code. Additionally, it provided access for firestore - an online storage space to upload documents. The data-structure of firebase is quite unique - it stores data as a JSON tree. Every node of that tree is exposed as a REST URL, and all you need is to use the URL in your application.